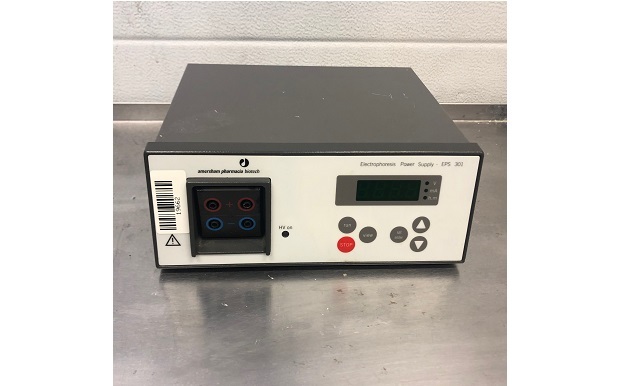 The Pharmacia Electrophoresis Power Supply EPS 500/400 is an accurately controlled power source of modern design that has been designed for safe and easy operation. The EPS 500/400 is designed to be used with the Pharmacia electrophoresis apparatuses (eg. the Gel Electrophoresis Apparatusus GE 2/4 and GE 2/4 LS, and the Flat Bed Electrophoresis apparatuses FBE Immuno and FBE 3000) or with any other suitable electrophoresis or immunoelectrophoresis chambers. The Pharmacia Electrophoresis Power Supply EPS 3500 is a high quality, high precision and safe power supply for electrophoresis applications that require a maximum of 3500 volts. EPS 3500 is primarily designed for the following techniques: â— DNA sequencing â— IEF (Isoelectric focusing) EPS 3500 is also suitable for: â— â— â— â— â— SDS-PAGE (Polyacrylamide Gel Electrophoresis) Native PAGE Agarose electrophoresis Electroblotting DNA pulsed field electrophoresis Electrophoresis separations can be controlled by voltage, current or power. The EPS 3500 automatically switches over the controlling parameter according to programmed limits and conductivity variations in the system. 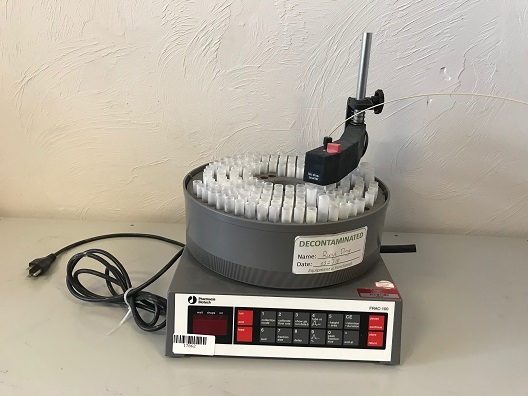 Two electrophoresis units can be connected to the EPS 3500 and run with the same programmed method at one time. Three programs can be saved. Powerful multifunctional control unit for chromatography systems. Programmable memory allows control of chromatographic procedures, modifications of separation parameters, performance of multidimensional chromatography, as well as evaluation and print out of the chromatogram data. FRAC-100 (with its drop counting accessory) can collect fractions in a variety of different ways, based either on time, volume or drop counting, controlled via simple programs specified by the operator. For example, you can choose to collect uniform fractions of a fixed time period. A single channel peristaltic pump for use in liquid chromatography in the flow range from 0.6 to 500ml per hour. The P-1 will interface with the programmable fraction collectors, FRAC-300 and FRAC-100 to provide accurate collection volume information to regulate fraction size. 1.0 mm, 2.1mm, 3.1mm tubing is also available.